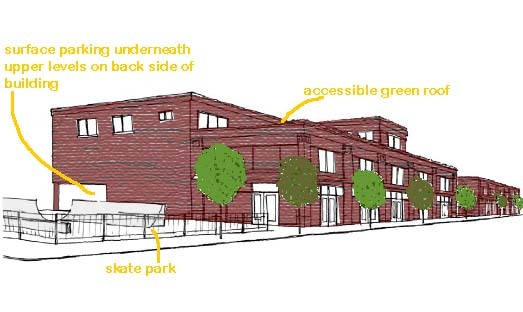 Tuesday’s public meeting about the current proposal for the Logan Square public plaza was well attended by the standards of most neighborhood community meetings; it was, in fact, standing room only by a large margin. I’m not sure how many attendees actually live in Logan Square. I know there was a large presence of local food movement types, but I’m not certain they were necessarily loca-resideres, to coin an awkward phase (so awkward I find it necessary to explain it’s a riff on the word “locavore”). I just don’t know. 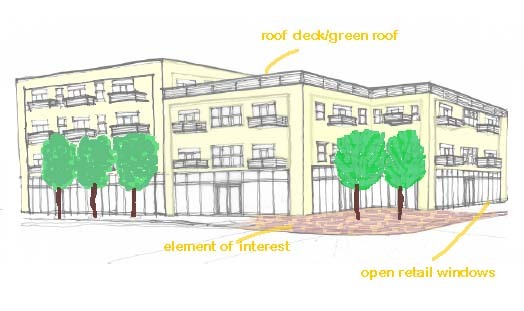 There will be a public meeting regarding the concept of a public plaza to be located at 2546-2566 N. Milwaukee Avenue on Tuesday, August 17 at 6:00 p.m. The meeting location is 2333 N. Milwaukee Avenue (Logan Square Kitchen). Community Open Space on Milwaukee Ave.
On Thursday, Longman & Eagle expanded its dining area to include outdoor seating on its Schubert Street side. Chicago weather has cooperated this weekend to provide an enjoyable atmosphere for diners. I find it a bit odd that they chose to use the Schubert Street/residential side of their building. Possibly more enjoyable for diners away from the Kedzie Avenue and bus traffic, but a potential conflict with the residents on Schubert. 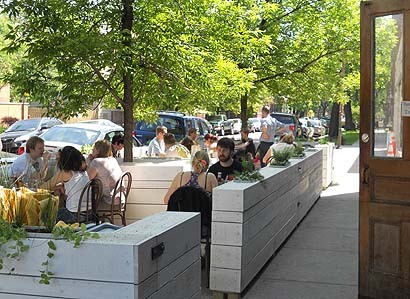 On Kedzie Avenue, though, it would have had an agglomeration effect: the potential to enhance and benefit from further enlivening that strip with the other outdoor dining options. What do you think? 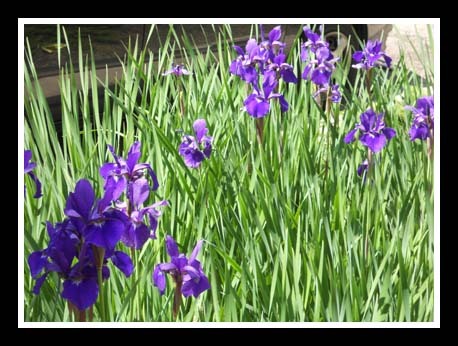 Across the street from Longman & Eagle, beautiful iris grow in a beautiful parkway garden on Schubert St.
Fertile fields of Milwaukee Avenue? 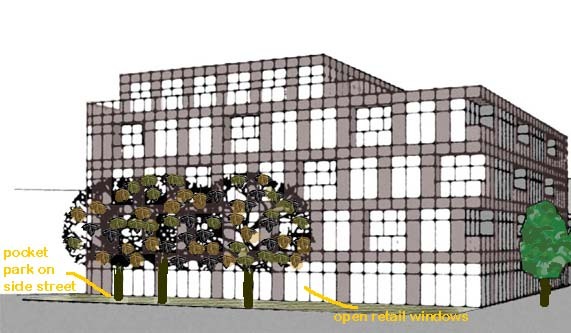 Should a tree an orchard grow in Brooklyn on Milwaukee Avenue? That’s the proposal of the Chicago Rarities Orchard Project (C.R.O.P. 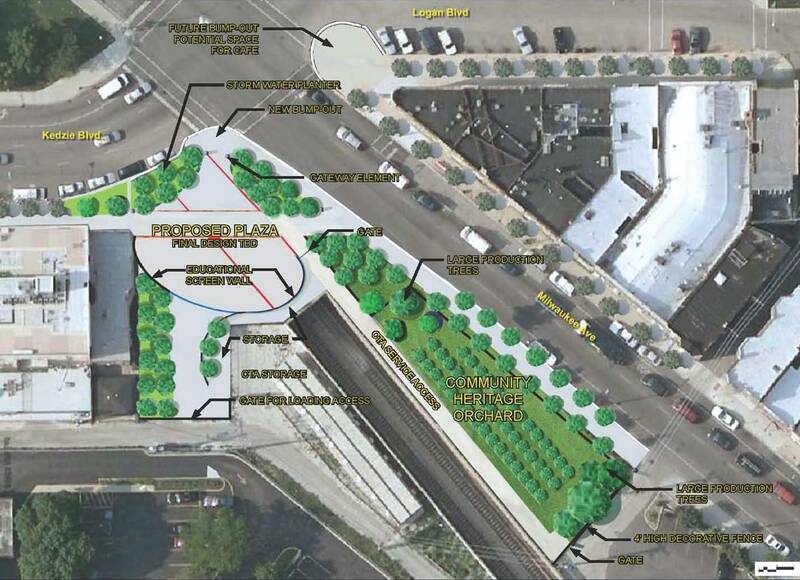 ), supported by a group called The Empirical Opera, to place a rare-fruit orchard on the portion of Milwaukee Avenue south of Logan Square proper that is currently planned for a plaza to accommodate the Logan Square Farmers Market. That’s a subtitle from the chapter, “The Powerful Culture of Gifts,” in Seth Godin’s Linchpin: Are You Indispensable?, the book I’m currently reading. An artist is an individual who creates art. The more people you change, the more you change them, the more effective your art is. If I give you some money to buy seeds, your farm flourishes, and now we both have money to give to someone else to invest. The faster the money circulates, the better the tribe does. One of the interesting things that came out of the Milwaukee Avenue Corridor Development Initiative, is the desire for open space. Every single development scenario, not just the four I’ve featured here (see Scenario 1, Scenario 2, Scenario 3, Scenario 4), included open space of some sort. Commenting on the imagined development scenarios in the last workshop of the series, the real estate experts did not necessarily agree, either stating that open space was not appropriate on Milwaukee Avenue or that there was already adequate open space in the area. So who’s “right,” the community or the real estate experts? How about both? 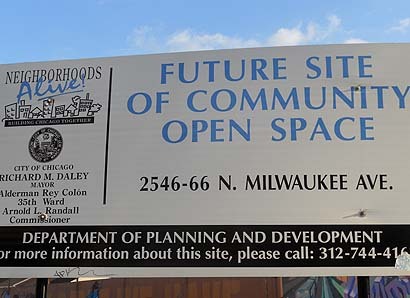 What many of the community volunteers didn’t know was what open space was already planned for Milwaukee Avenue, and perhaps they didn’t consider what already exists or the potential of what already exists.